With all five of last year’s Michelin star holders in Wales retaining their stars, and two brand new stars also announced, there has never been a better time for the discerning foodie to visit Wales. Here is our guide to the restaurants that are giving the rest of the UK a run for its money and all with the advantage of being set in beautiful Welsh Wales. At Restaurant James Sommerin they are proud to be a family run business. With only the finest ingredients, sourced locally where possible, used to create their menus, good food, good wine and good company are the order of the day. They achieved a Michelin star in 2016 and were AA Restaurant of the Year for Wales 2016-2017. Dishes are hearty and boldly flavoured and they offer a customisable 6 or 10 course tasting menu, along with a la carte. Member Club Offer: Members receive a 20% reduction from the total food bill when having lunch or dinner Tuesday to Sunday. Click here for more details. The second of the new stars to be announced for Wales in the 2016-2017 guide, Sosban is located in the heart of the Menai Bridge on the Isle of Anglesey, within a historical Butcher’s Shop. The dining experience is a little different to most. Dishes are created using the best locally sourced produce available on the day , providing a culinary journey not found anywhere else. Not long open, the Beach House is already gaining a reputation as a destination restaurant for discerning foodies. The beautiful restaurant enjoys a stunning natural setting located right on the soft golden sands of Oxwich Bay enjoying magnificent coastal views. Head Chef and native Welshman Hywel Griffith is passionate about local produce and his team prepare dishes with skill, experience and creativity. “We have sought out the best most consistent suppliers from all over the Gower and Wales”. Member Club Offer: Member receive 10% off the total food and beverage bill when having lunch or dinner Wednesday to Sunday. Click here for details. The Walnut Tree has been a famous inn and restaurants since it began in the early 1960’s. The restaurant offers proper dining and drinking in an informal setting. The menu is an eclectic mix based on the owners personal tastes and sound cooking techniques rather than any particular cuisine style but the underlying feature is a core of excellent ingredients, local where feasible, and carefully chosen. Club Member Offer not currently available. Click here for restaurant details. The Grove is an exquisitely pretty country house hotel set in the jewel-like countryside of Pembrokeshire. It offers an intimate and sumptuous dining experience with warming log fires throughout the house. Executive Chef, Allister Barsby designs his delicious lunch and dinner menus using the finest meats and vegetables of the season. Member Club Offer: Member receives 10% off the total food and beverage bill when having lunch , afternoon tea or dinner all week. For more details click here. Tyddyn Llan is a small elegant Georgian Country House set within beautiful gardens in an area of remarkable natural beauty. Home to luxurious accommodation and an award winning restaurant, now considered to be one of the finest in Wales, Tyddyn Llan is certainly a venue worth visiting. The restaurant is committed to using the highest quality seasonal ingredients, many of which are delivered daily. Club Member Offer not currently available – click here for restaurant details. A haven of peace and tranquillity, this 5 Star restaurant with rooms can be found near Snowdonia National Park, Aberystwyth and Machynlleth. Crisp white linen, silver cutlery and crystal glassware set the scene for memorable meals. Rob Reen’s dramatic paintings adorn the walls and through the large windows diners can feast their eyes on the stunning views of the Cambrian Mountains. 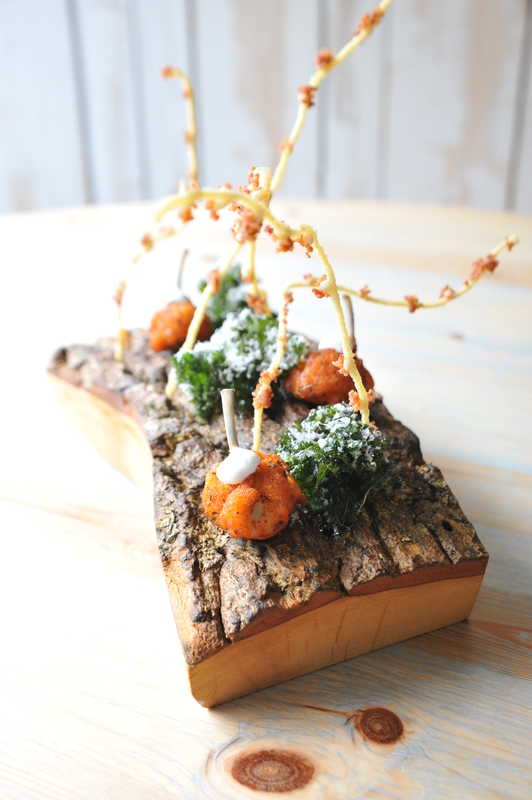 Specialising only in Tasting Menus, Head Chef Gareth Ward’s food is innovative, fresh and light. The main emphasis is on taste and exciting flavours using only the best of Welsh produce. Member Club Offer: Members and their guests receive a free cheese course when having dinner Tuesday to Saturday. Click here for more details. The restaurant is something completely new for Will Holland who gained his Michelin star in the fine dining at La Becasse, Ludlow. It is fresh, modern, relaxed and casual with no-dress code, but offering the very best quality food and service. With unrivalled views of Coppet Hall Beach the restaurant has an equal number of seats both inside and out allowing guests to enjoy natures show whatever the weather. Club Member Offer: Members receive 10% off the total food and beverage bill when having lunch or dinner Wednesday to Sunday. Click here for more details. Llangoed Hall is a serene presence amongst soft Welsh meadows that slope down to the River Wye, with the Black Mountains looming in the distance. Head Chef Nick Brodie places emphasis on creating dishes that make use of the finest local Welsh produce such as Welsh Black Beef and local Radnorshire Lamb, all flavoured with herbs picked from the hotel’s organic kitchen gardens. The menu is imaginative yet sensible and many ingredients hail from his burgeoning kitchen garden as well as the hedgerow. Bodysgallen is grand without being bland. From some angles it looks like a medieval village, from others like a looming gothic castle, still others like a serene Tudor mansion. The tower, originally a lookout for Conwy Castle, then the medieval core of a 16th century mansion, gets older the higher you climb: Victorian at the bottom, 13th century at the top. The encircling view is enthralling. Once you come back down to earth, the restaurant offers something pretty spectacular too: exceptional quality, authentic provenance and seasonal freshness are abundant. Mugwort, meadowsweet, mallow cream, pickled pine berries, lesser celandine and scurvy grass; just a few of the exotic, not to say magic ingredients you will find in the sublime dishes at The Whitebrook. The menu of unusual and foraged ingredients has recently earned Chef-Patron Chris Harrod a Michelin Star and thus one of Wales’ most celebrated restaurants is back with a wizardly bang. While the unfamiliar ingredients on the menu make for unique tastes and textures, there’s something reassuringly familiar about Harrod’s food. It’s probably down to his classical French trained garnered during his time at Le Manoir aux Quat’Saison. Formerly a traditional coaching inn, The Checkers in Montgomery is enjoying a new lease of life after an extensive renovation in 2010. Today it offers a harmonious combination of old and new with a relaxing bar and lounge and elegant dining room. Club Member Offer not currently available – click here for more details. The Hardwick sits amongst the green hills of Wales in a glow of country wholesomeness and aged beauty. Its interior is leathery, richly textured and plump of cushion. It has an amiable hubbub, but it’s spacious and high-ceilinged. Don’t be fooled by this bucolic allure, however: the Hardwick’s superb chef Stephen Terry trained with Marco Pierre White and Michel Roux Jnr, and plates up south Wales’s finest produce in dishes worthy of several kings. Richness is balanced by zinginess and originality and it would be impossible for the greatest of gourmets or gourmands not to feel replete here. Club member offer not currently available. Click here for more details. The Luxury Restaurant Guide is best way to discover and book the finest restaurants in the UK. Let us inspire your booking choices with our comprehensive and visual list of all award-winning restaurants from Michelin, AA and Sunday Times Top 100 to the best new openings.